Back in the dark ages, before video games, we used to sit down by the light of the fire and play a nice game of cribbage as a family. I’m mostly kidding – while I don’t get to play board games as much as I’d like these days, we still break out the cribbage board from time to time, usually while camping or on vacation. My parents had this fancy cribbage board carved into an elk antler from Jackson, Wyoming. While this was a pretty unique board, it was not exactly easy to fit an antler into a suitcase or whip out the antler for a quick game at the airport. If only we had gotten our hands on the Walnut Studiolo Travel Cribbage Board, a small cribbage board designed to fold up and take on-the-go. 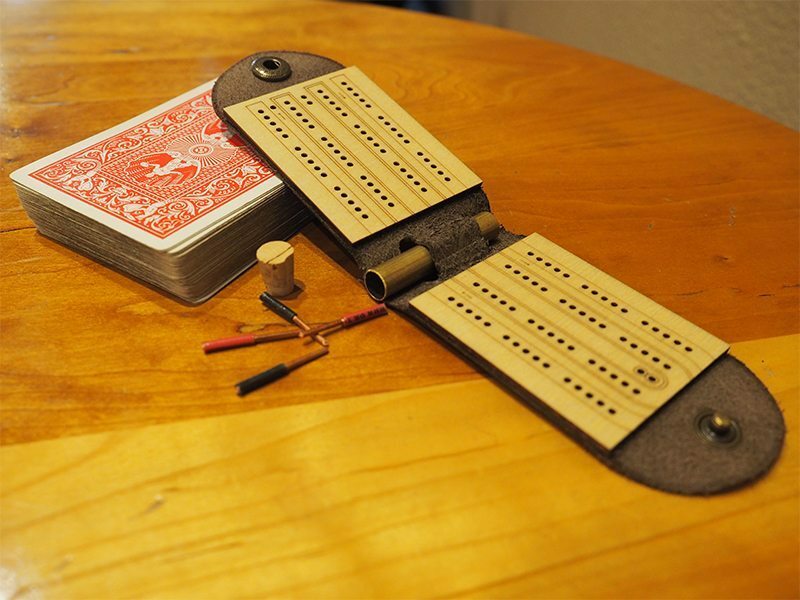 Inspired by the pocket games soldiers carried in WWII, the Travel Cribbage Board is on the smaller end of the spectrum. Made to fit in your bike bag, briefcase, or pocket, the board is lightweight and easy to carry. It weighs in at a little less than an ounce and a half. The 60-point, laser-engraved board comes with four solid copper pegs, two black and two red, which store inside an built-in brass tube and fastened with a cork plug. Replacement parts are available on the website as well. The board itself is wrapped in dark brown veg-tanned leather and secured with an antique style brass closure. 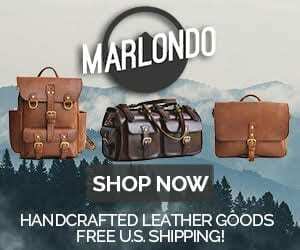 The leather can be personalized with a monogram for $12. Folded up, it’s about as small as a standard deck of cards, which works great since you have to bring along a deck of cards anyway. For the uninitiated cribbage players, you can read up on the rules in this blog post from Walnut Studiolo. The Walnut Studiolo Travel Cribbage Board is great for traveling and just plain fun to have around, whether you’re a cribbage enthusiast or just like to have board games handy for visitors.It’s always good to have a classic game around for those times when the Internet fails or the power goes out. Cribbage is a great strategy game. If you’ve never played, get yourself one of these cool little boards and enjoy! At $45, it makes a great gift, and its high quality materials mean it will last long enough to play with your grandkids.